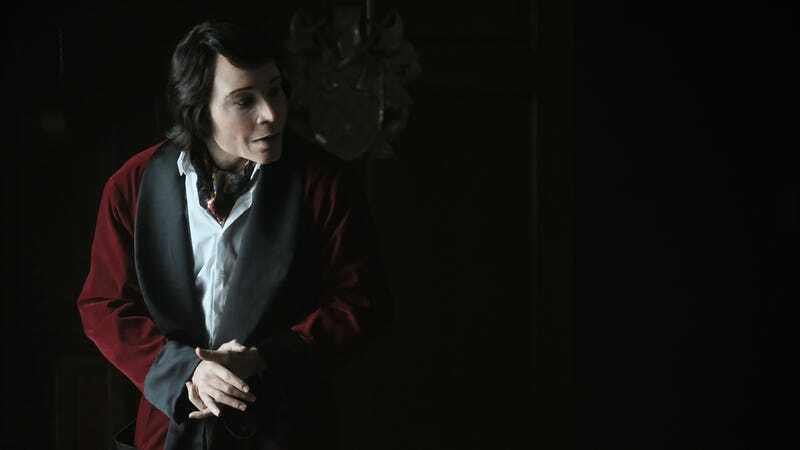 Donald Glover in the “Teddy Perkins” episode of Atlanta, directed by Hiro Murai. Hiro Murai’s name has been coming up more and more of late in respected pop culture circles: A regular collaborator with up-and-coming Renaissance Guy Donald Glover, Murai has been a producer on Glover’s FX show Atlanta for both of its two seasons, including directing the beloved and bizarre “Teddy Perkins.” He also handled the directing duties on Glover’s “This Is America” music video, establishing his credits with a speed and fierceness that had FX quickly sit up and take notice, offering him his own TV development deal. Now, Murai has lined up what might be his first feature film, with Deadline reporting that he’s in talks with 21st Century Fox—regardless of whoever ends up owning them—for a sci-fi feature titled Man Alive, which the studio bought as a spec script from newcomer Joe Greenberg, and handed to It Follows’ David Robert Mitchell for a rewrite. The story itself sounds like something in the I Am Legend vein, about a lone survivor of an alien invasion who finds out he’s not as “lone” as he originally thought. Given Murai’s penchant for the creepy image—he’s also directed episodes of Legion and Barry—it sounds like a pretty intriguing fit between project and talent.